Located within the confines of a 400-acre, high-fenced game ranch stocked with exotic species of African antelope, the home was designed to be a Texas Hill Country reclaimed resort-style home. Large family gathering rooms were created and accented with interior walls of stone and a massive see-through fireplace that separates the trophy room from the family/dining area and kitchen. The finish on the house makes use of timbers reclaimed from 100-year-old barns. A standing-seam metal roof complements the board and batten exterior siding application. Dry stacked stones field blended in custom mixes highlight the bronze wood windows. The infinity and freeform edge of the pool fits in with the landscape so well. This Texas Hill Country contemporary is located on a 13.3 acre- estate lot. The single-story home includes four bedrooms and 4.5 bathrooms. 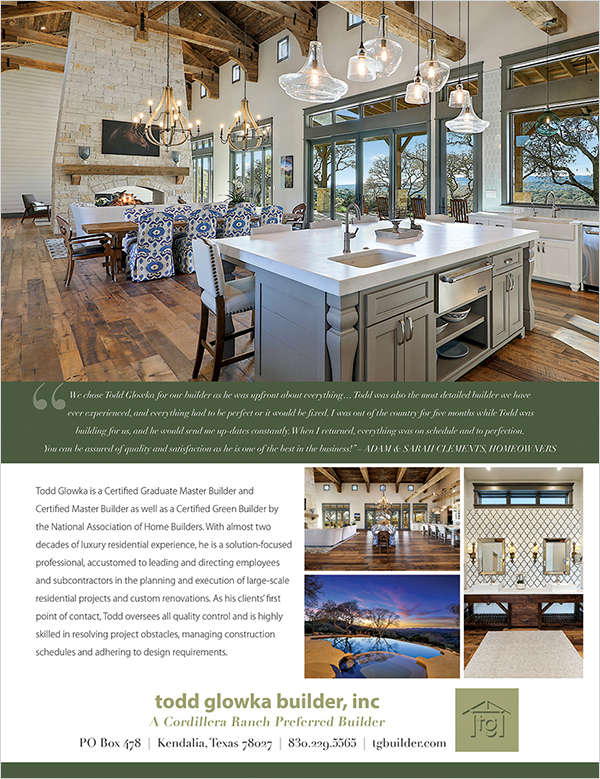 Clean, contemporary lines mix with traditional Texas Hill Country finishes; the open kitchen/dining/living combo room has soaring ceilings, which are highlighted by massive reclaimed timbers. This home features three linear-styled contemporary fireplaces. A well-appointed game room is designed with entertaining in mind and includes a full bar. The study utilizes oversized barn doors to allow additional privacy for the home owner. Outdoors, a fully equipped kitchen overlooks a custom-designed pool. The high roofline opens to the view, and it’s so thoughtfully unadorned and pure. 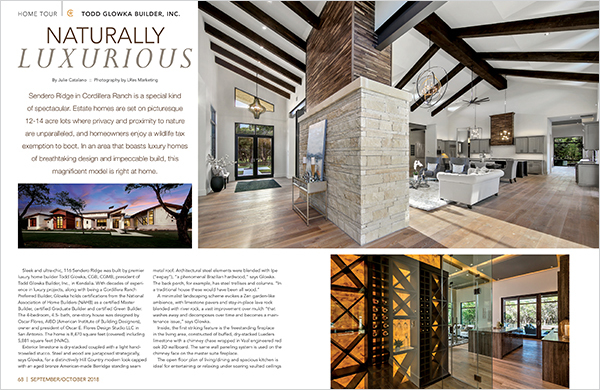 WASHINGTON, DC, Saturday, August 18, 2018 – The America Institute of Building Design (AIBD) named Todd Glowka Builder, Inc., as one of its top Custom Home Builders in the eleventh annual American Residential Design Awards (ARDA) in Philadelphia, Pennsylvania. 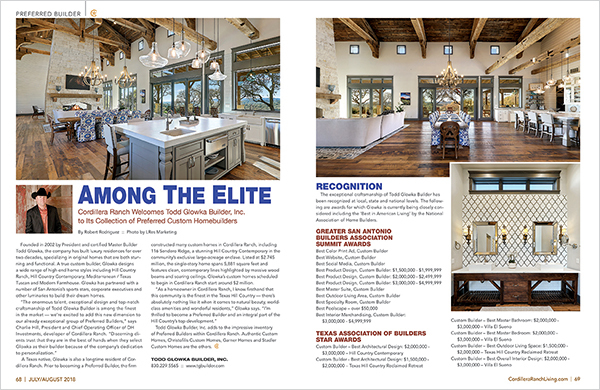 During a banquet dinner held in conjunction with the Design & Build Summer Conference, Todd Glowka Builder, Inc., was awarded the ARDA trophy in Best Indoor Living. The winning entries were chosen from 144 finished and proposed projects submitted by 41 design firms from 18 states and the District of Columbia. 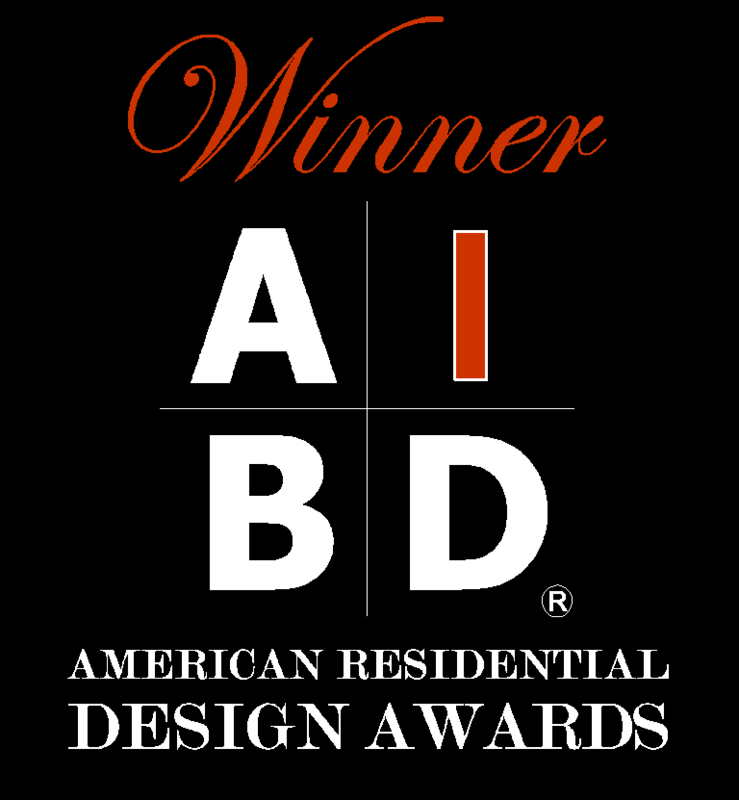 WASHINGTON, DC, Saturday, August 18, 2018 – The America Institute of Building Design (AIBD) named Todd Glowka Builder, Inc., as one of its top Custom Home Builders in the eleventh annual American Residential Design Awards (ARDA) in Philadelphia, Pennsylvania. 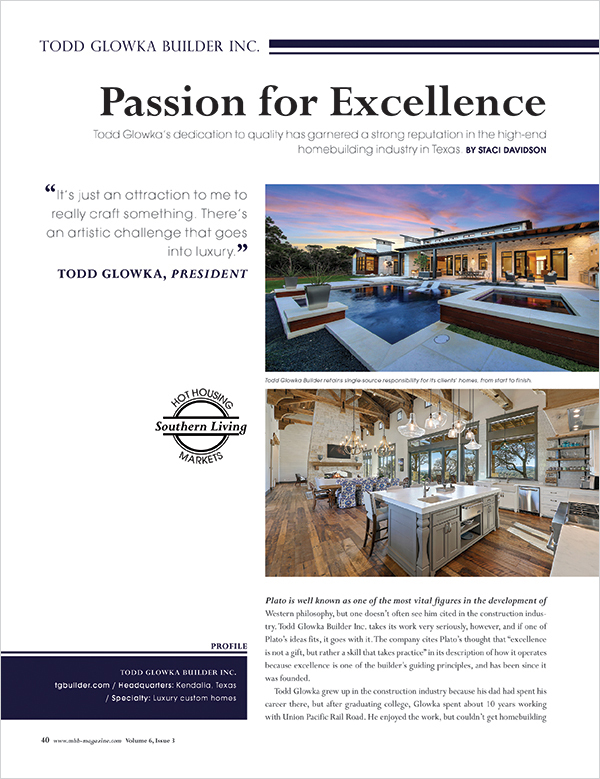 During a banquet dinner held in conjunction with the Design & Build Summer Conference, Todd Glowka Builder, Inc., was awarded the Grand ARDA trophy in Best Outdoor Living. The winning entries were chosen from 144 finished and proposed projects submitted by 41 design firms from 18 states and the District of Columbia. Longtime Aerosmith drummer Joey Kramer is selling his 7,698-square-foot mansion in Boerne, recently listed for nearly $4 million. The house is on Sendero Ridge in the exclusive Cordillera Ranch community. It features four bedrooms, four full bathrooms and two half bathrooms. 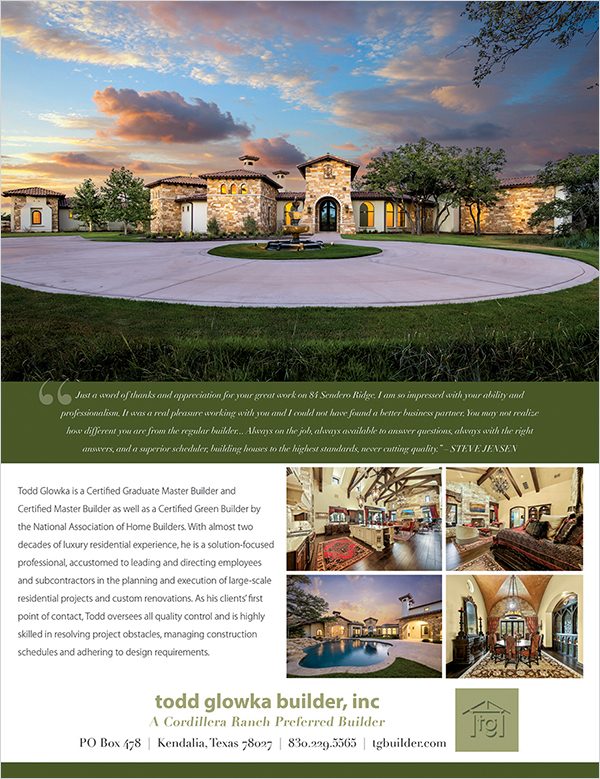 Built in 2016 by Todd Glowka Builder Inc., the single-story property sits on more than 14 acres and features a large pool, a six-car garage, a wildlife tax exemption and private gate access. Aerosmith drummer Joey Kramer is selling his rockin’ home in Boerne, TX, for $3.9 million. While Kramer and his wife weren’t there long, the couple put their stamp on the place. The home, made in part from hand-cut stone, features four beds, four full baths, and two half-baths. It sits on 14 acres that qualify for a wildlife tax exemption. The home was built by custom home builder Todd Glowka. 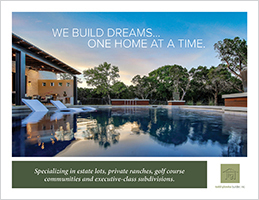 Specializing in estate lots, private ranches, golf course communities and executive-class subdivisions. Sendero Ridge in Cordillera Ranch is a special kind of spectacular. Estate homes are set on picturesque 12-14 acre lots where privacy and proximity to nature are unparalleled, and homeowners enjoy a wildlife tax exemption to boot. In an area that boasts luxury homes of breathtaking design and impeccable build, this magnificent model is right at home. Like a lot of other Texans, it wasn’t born in Texas, but it got here as fast as it could. 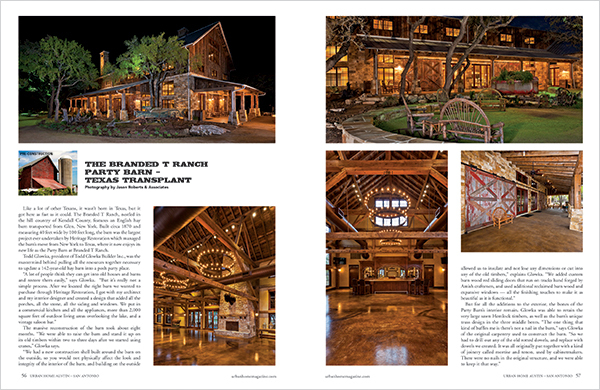 The Branded T Ranch, nestled in the hill country of Kendall County, features an English hay barn transported from Glen, New York. 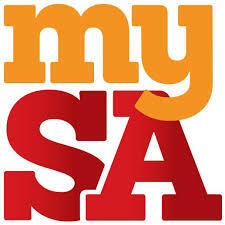 As expected, clients have many questions during the initial meetings regarding their new home construction process here in San Antonio/Texas Hill Country region. 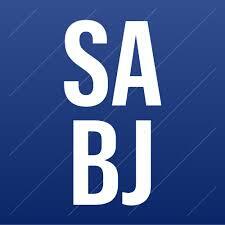 One that often comes up frequently involves cost per square foot. Understanding key components should help bring clarity to this topic. 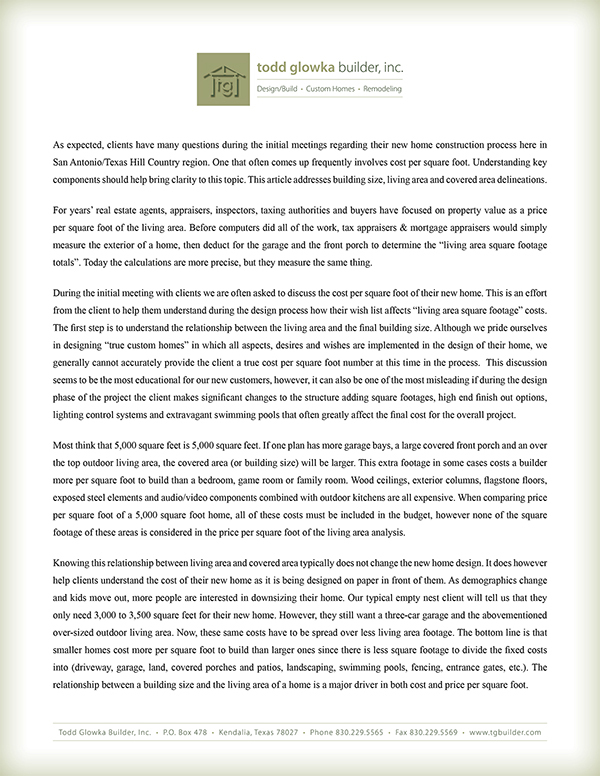 This article addresses building size, living area and covered area delineations.